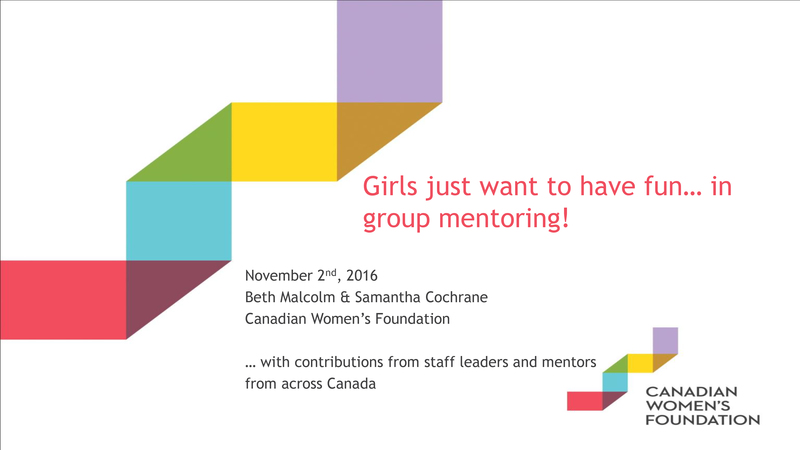 Go to www.mentoringgirls.ca for all resources related to this program. The workshop explored key components and promising practices of girls’ group mentoring with a focus on group structure, trial matching,cwf-girlsmentoringtoolkit-postcard relationship building, strategic facilitation and cross-age mentoring. Participants will learn about the value and approach to girls group mentoring by presenting process and outcome findings from our multi-year, multi-stakeholder evaluation. We will also highlight and present features of the girls group mentoring toolkit and how it can be used to develop and deliver quality girls group mentoring programs in their community.